‘Life is like a butterfly. You can chase it, or you can let it come to you.’ – Ruth Brown. 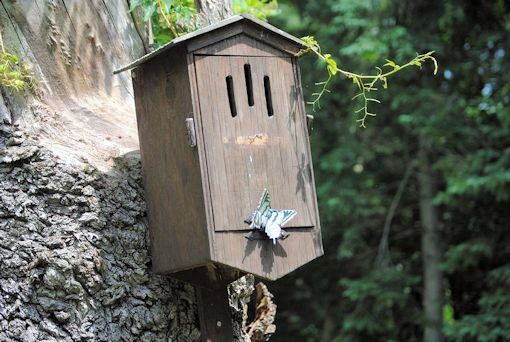 Much like birdhouses, butterfly houses come in many shapes and sizes, from a simple wooden box with a slanted roof to elaborate architectural miniatures of beach cottages, log cabins, churches, and garden sheds. Unlike a birdhouse, a butterfly house has long, narrow slots rather than a round hole. These slots allow access to butterflies but keep the birds out. When shopping for a butterfly house, look for one that opens in the back for easy cleanout. 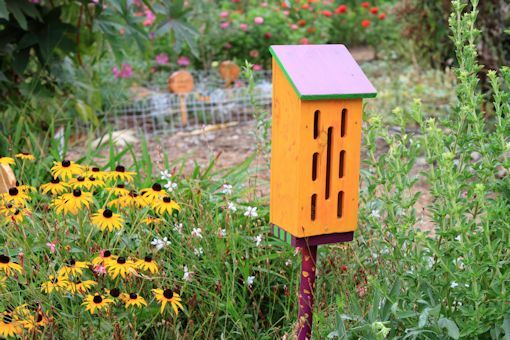 You will also want to place a piece of bark or a small branch inside for butterflies to perch on. If you are a do-it-yourself person, a variety of butterfly house plans can be found on the Internet. Make sure you use untreated lumber; pine and cypress are preferred. 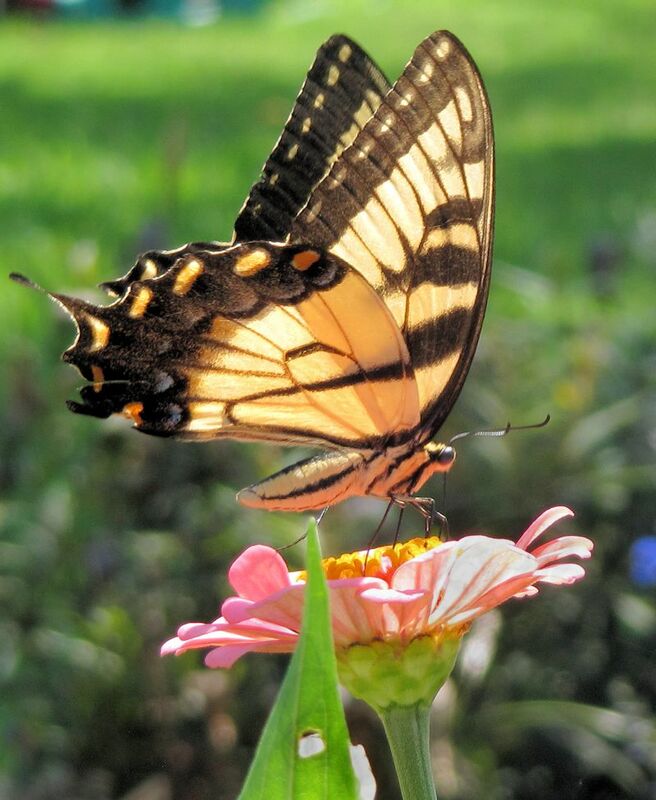 Tip: Butterflies are attracted to bright colors: pink, purple, red, and yellow. Try painting your house in a Caribbean color scheme, or cover it with big bright flowers. Seal your paint job with a clear coat to make it last longer. 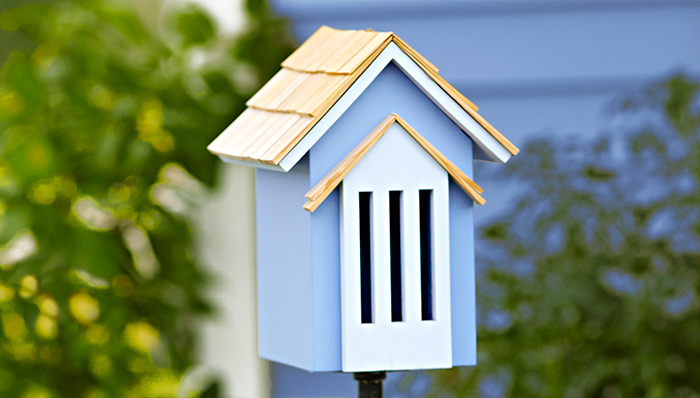 Charming in any setting, butterfly houses are often thought of only as garden ornaments. Unfortunately, in most cases this is true. Coaxing butterflies to actually use the house requires knowing which species of butterflies will use it and what habitat they require. 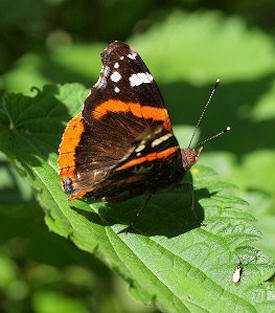 Mourning cloaks, tortoiseshells, angel wings and red admirals are some of the butterflies that might take refuge in a butterfly house during the winter. Place your butterfly house approximately four feet high on a post, fence, or tree in an area sheltered from strong winds. Wind movement makes butterflies feel unsafe, so it is not a good idea to hang the house where it might sway. The edge of a wooded area is an ideal location; the trees provide a safety factor while the open area provides room for nectar plants. Host plants should be planted nearby. Willow, elm, buckthorn, nettles and hops serve as host plants for the butterflies mentioned earlier. Plant a variety of nectar plants around the butterfly house such as asters, milkweed, phlox, purple coneflower, and wild bergamot. A butterfly house is a beautiful addition to any garden. 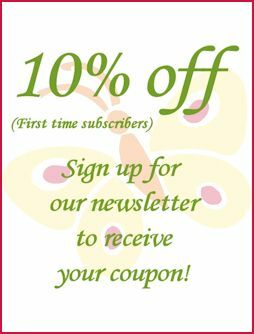 If you need more info on creating a butterfly garden, we have that too! Follow the steps and you might just be delighted when these amazing winged insects make your house their home. This entry was posted in Butterfly Garden and tagged Butterfly Garden, Butterfly House.